Come and join Mike and his fabulous live band for a sensational evening of his unique brand of comedy and music, guaranteed to delight and entertain in equal measure. 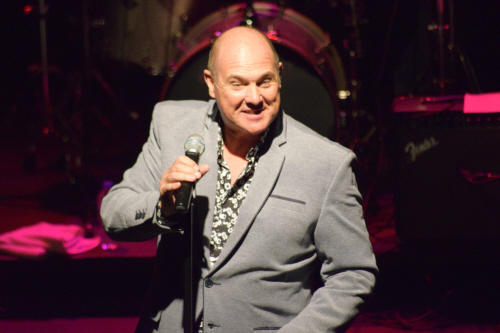 Since appearing on the final of Bob says Opportunity Knocks in 1988, Mike has forged a career on stage and television including starring roles in the West End, three of his own entertainment series for the BBC and to date 24 pantomimes, alongside over 25 years of headlining cruise line performances on some of the World’s largest cruise lines. Mike's new show Rock with Laughter contains an affectionate rocking look back to the music he grew up with. Mike will be with performing in the hall on Saturday 28th October 2019 with his band and a support act.